Update: this article has been updated to amend a few details, notably about the phone call from Jean Andersson. This Bloomberg article by Jesse Drucker tells a fascinating story about the astonishing rise of tax justice activism. "A February poll commissioned by Christian Aid, a church-based nonprofit relief agency in the U.K. and Ireland, found that 66 percent of Britons believe tax avoidance to be “morally wrong” -- up 10 percentage points from when people were asked the question six months earlier." "UK Uncut started in October 2010, predating Occupy Wall Street by about a year." Indeed, and all credit to them. We love them (and the related Occupy movement) to bits: just last Saturday, on a walking tour of the City of London that we co-organised, Tom Pursey of UK Uncut stood outside Goldman Sachs' offices in London and talked about their tax arrangements. And just this weekend, TJN's director John Christensen received a rather impressive pack of poker cards from the "London School of Financial Activism," as a (belated) present to celebrate TJN's 10th birthday. Do read the rest of Jesse Drucker's story about UK Uncut. But what about the movement's roots? The rest of the blog, underneath the poker cards, explores this question in some detail, with a particular focus (of course) on TJN. The roots of UK Uncut. The answer, of course, is that UK Uncut has many roots. Not least in its indefatigable people, who have done things that some of us at TJN have never done: stand up in public places, often in very awkward situations, sometimes risking arrest, on occasion glueing themselves to shop windows - and physically shout and protest at the gross injustices that are being perpetrated in their democracies. That's a really hard, and huge admirable, thing to do. We wish there were more of this kind of thing in modern public life. Next, and very importantly, UK Uncut were spurred by the work of Richard Brooks and the investigative British satirical magazine Private Eye, which has been exposing specific cases of tax abuses for many, many years. It is without peer in this respect, despite some excellent reporting on this topic by various other UK newspapers, particularly in the last two years or so since this topic really started to take off. But TJN and its associates, of whom there are many hundreds around the world, can claim a whole bunch of credit for something slightly different: a major role in the creation of a coherent intellectual framework for understanding tax and tax havens. It is an intellectual framework that is currently -- at last -- sweeping the globe. And here we feel it is time to tell a story which may be of interest to those who want to know more about TJN and where it came from. The following comes substantially from Christensen, and thus is an informal account that substantially reflects his perspective. We may amend this blog as and when others comment on it, and in the meantime we have located many other historical documents on our permanent Offshore History page - to which we will add today's blog. He went to Britain, where he spent a couple of months combing libraries and seeing all the economists and capital markets experts he could find to try and understand where the money went and how the offshore system worked. Nobody knew anything. "I don't think anyone had understood how malevolent this thing had become," he said. "There was no useful information anywhere." Christensen cites Sol Picciotto's 1992 seminal book International Business Taxation, available as a free download since a few days ago, as being "the book that crystallised a lot of my thinking," notably on the all-important issue of tax havens and corporate tax avoidance - the staple fodder of UK Uncut. 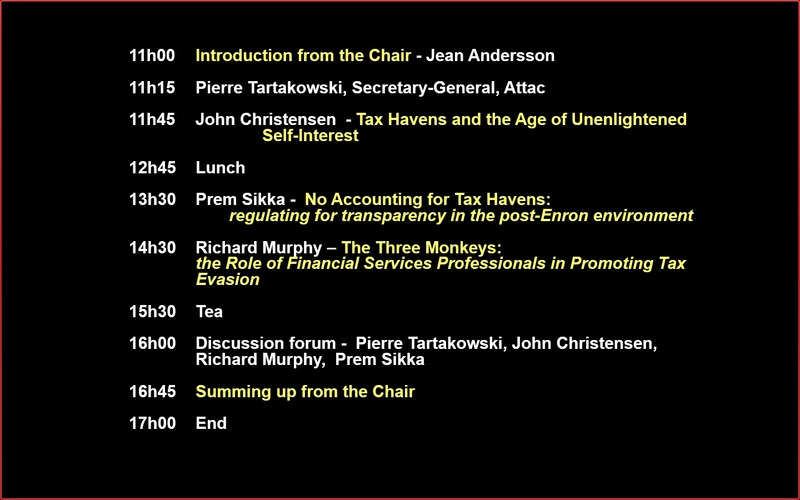 There was, however, an accounting expert at Essex University, Prem Sikka, who was also publicly speaking out on these issues, and in 1998 he launched the Association for Accountancy and Business Affairs (AABA,) and its seminal publication Auditors: Holding the Public to Ransom. Ronen Palan, author of books such as the 1998 publication "Trying to Have Your Cake and Eating It: How and Why the State System Has Created Offshore," was another early influence. All the above (along with Richard Murphy, who has been hugely influential but joins us a little later in this story) are Senior Advisers to TJN today. "In the tax debates ahead, Bob McIntyre's one-man report would turn out to be more influential than all the firepower the corporate lobbyists could muster." Elsewhere, with a more international outlook, work by Unctad, and the OECD in the late 1990s with their ill-fated Harmful Tax Competition project, was complemented by the work of the UN economist Vito Tanzi, who in 2001 aptly referred to tax havens as "fiscal termites". Tanzi played an important role in the UN Financing For Development conference in Monterrey, Mexico in 2002 and the resulting "Monterrey Consensus" that emerged was ahead of its time in that it called - at a time when almost nobody else was doing so - for developing countries to shift their focus away from aid and borrowing, and looking more to mobilising domestic resources - that is, tax -- to finance their development. Despite the Monterrey Consensus being widely reported on, there was still no decisive shift in the global zeitgeist. Tax was still generally to be avoided and was 'bad for growth' (still reflected in the World Bank's 'Doing Business' country reports), the consensus held that tax havens were either exotic, somewhat irrelevant sideshows to the global economy, or 'efficient' neutral platforms for whooshing large quantities of money around the world. An attitude of see no evil, speak no evil, hear no evil prevailed in Washington, Brussels, Paris and London. "After just a few hours of discussion, clandestinely in a bar in Saint Helier, he had convinced me that the time was ripe to move on and start to campaign against tax havens." Christensen quit his job (and Jersey) in July 1998 and went to work in the private sector in London, while nurturing plans to set something up. In 1999 he advised the charity Oxfam on their seminal June 2000 report, Tax Havens: Releasing the hidden billions for poverty eradication, which stimulated some interest at the time, but not nearly enough: many non-governmental organisations in those days were overwhelmingly focused on how to increase aid levels, rather than on the tougher but more important question of how developing countries could mobilise their own revenues. The latter question just wasn't on the radar screens. As we sat in John's office he asked us "What do you want to do?" And if I remember rightly Pat answered; "Get rid of the Tax Haven!" "They were talking about liberating the island. I said that if you want to do that, you have to take on the entire issue of tax havens and the global economy. They grasped that pretty fast, and asked: 'if that is what it takes, how do we set about doing that?' I said that we will have to create a mammoth global campaign to raise public awareness. It was clear to me by the time they left, three hours later, that this was the call to arms. I knew instantly that this was what I had been wanting to do." "This was the first time I met Richard and, bizarrely, within minutes of meeting we were discussing the need for country level disclosure of transnational company accounts: the idea of Country-by-Country (CbC) Reporting - the term came from Richard - was born in Jersey, of all places." Murphy developed and wrote the first CbC accounting standard and has led the charge on country-by-country reporting in the ten years since then. It is an unarguable concept that is now sweeping the world. That conference, via an activist called Matti Kohonen, led to an invitation to another conference at University College, London, which culminated in an invitation from the NGO War on Want and Stamp Out Poverty to take a delegation to the European Social Forum in Florence in November. A delegation of Christensen, Hampton and War on Want's Pete Coleman went, and joined with Bruno Gurtner of Switzerland, then time senior economist of the Swiss Coalition of Development Organisations; and Sven Giegold of Attac in Germany (now a highly influential European MEP.) This was the nucleus of the TJN founder's group, and it was at that meeting, on 9th November 2002, that the name Tax Justice Network was chosen, TJN was officially formed, and the bare bones of an eventual Tax Justice Declaration were sketched out. A full list of TJN's founders is available here. 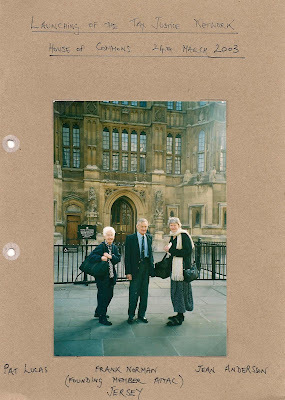 TJN was officially launched in the British Houses of Parliament in March 2003: the crucial trio of Pat Lucas, Jean Andersson and Frank Norman were all there. Click to enlarge this wonderful archive photo. At first, it was hard going. Clearly the new network would need a secretariat, but such was the apparent obscurity of the tax haven issue in those days that none of the founding organisations was able to put up a sizeable contribution to fund it. Then good old Jersey intervened again. The Attac network there set to work organising boot fairs, local events and more to cobble together enough many thousands of pounds to get things started. We still don't know just how they did it - but they did. And at that point, things began to get a little easier. The Tax Justice Network formally launched its International Secretariat in September 2004, garnering its first major international newspaper headline, in The Guardian: Havens that have become a tax on the world's poor, with some useful supportive commentary from UN Secretary-General Kofi Annan. In fairness, she changed her position fairly soon. But this gives an idea of the steep wall we faced. Development NGOs aligned largely with corporates and governments: I have no problems with that, but their focus was on acting as aid delivery agencies, rather than on tackling systemic poverty. TJN is all about 'how do we move beyond aid, so governments can deliver public services without debt -- particularly external debt -- and external aid?" He also recalls one particularly difficult meeting at an international meeting on Corporate Responsibility at Chatham House in 2004, where he stood up to talk about the need to inject the dreaded word 'tax' into the corporate responsibility debate. They looked me as if I’d left a dog turd in the middle of the table. When I sat down it felt like there was a 30 second silence. My knees were trembling, my blood was pounding, and I could see that the chairman was utterly hostile." From around 2004 onwards, bit by bit, the issue slowly began to get traction, notably with non-governmental organisations, but increasingly with unions and then professional bodies. Still, even natural allies took quite some persuading: Sikka remembers visiting one trade union body in 2003-4, and finding that "they were simply not interested, because it was a little bit outside the box of traditional trade union interest." One of the great strengths of TJN, beyond the fact that it is and has been proven absolutely right about the issues, is that has striven to appeal across the political spectrum. The problem of tax havens is, after all, a story about the corruption of global markets - and who is to say that the fight against corruption is the exclusive preserve of left or right? 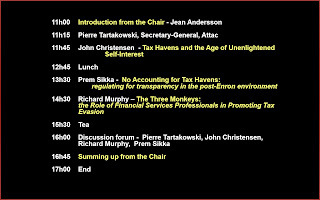 The work has pushed forwards with numerous other publications and blogs such our flagship newsletter Tax Justice Focus, Richard Murphy's prolific Tax Research UK blog -- a veritable volcano of ideas related to tax justice and various other issues -- and reports such as the Price of Offshore (March 2005, updated in July 2012) and 'Tax Us If You Can' (September 2005, updated in July 2012.) 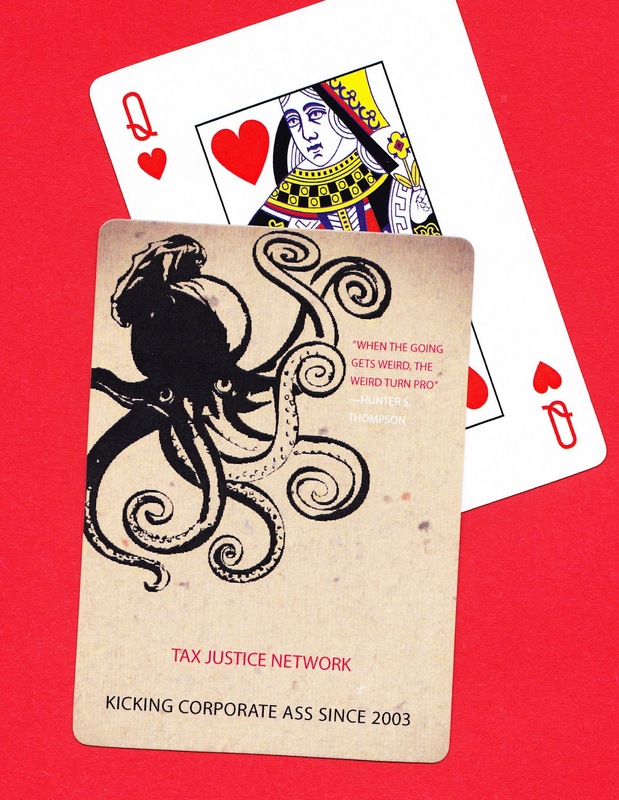 We now have the Global Alliance for Tax Justice, and tax justice chapters around the world - not to mention world leaders this year, at last, calling loudly for some serious action on tax havens. 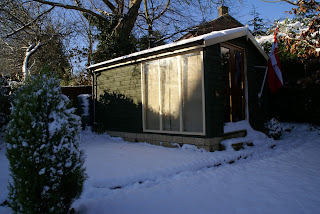 But the fight remains a David v Goliath one, as can be seen from our miniscule headquarters in Chesham, England. As mentioned, we're very happy to receive comments about this blog. If anyone feels they or someone else has been unfairly or erroneously treated, or just want to add an interesting detail, please let us know. And, as mentioned, we'll be storing this permanently, here.